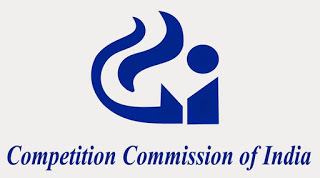 CCI Competition Commission Recruitment Notification 2018.Competition Commission of India CCI inviting applications for the positions of Office Manager, Deputy Director, Multiple Vacancy.Interested and Eligible candidates can apply for the positions. 1. Essential: Officers working in analogous post / grade or two years experience in the grade pay of Rs. 4800 or three years in the grade pay of Rs.4600 or eight years in the grade pay of Rs.4200 or equivalent in the relevant field (Establishment/ Personal Management/Secretarial Practices/Administration). 2. Desirable: Higher qualification and experience will be given preference. 1. Essential: 1) Officers of the All India Services or Central Civil Services Group 'A' or Autonomous Organizations or Regulatory Authorities or Universities or Academic or Research Institutions etc. and 2) (a) Working in analogous post or grade; or (b) four years' experience in Grade Pay of Rs.6600 or equivalent; or (c) having a combined service of six years in Grade Pay of Rs.6600 and 5400, of which at least two years in the Grade Pay of Rs.6600; or (d) eight years' experience in Grade Pay of Rs.5400; and 3) Having experience in investigation under any economic law such as Income Tax, Customs, enforcement etc. dealing with investigation or gathering of intelligence. 1. Bachelor's degree in Law/ Economics/ Commerce/ Business Administration with finance & accounts/ CA/CS/Cost Accountant or any equivalent degree considered useful by the Selection Committee. 2. Experience in Competition Law/Matters. Officers of the All India Services or Central Civil Services Group 'A' or Autonomous Organizations or Regulatory Authorities or Universities or Academic or Research Institutions etc. and 2) (a) Working in analogous post or grade; or (b) having three years experience in Grade Pay of Rs.7600; or (c) six years combined service in Grade Pay of Rs. 7600 and Grade Pay of Rs.6600, of which at least two years' service in Grade Pay of Rs. 7600; or (d) eight years service in GP Rs.6600/- or equivalent; and 3) Having experience in investigation under any economic law such as Income Tax, Customs, enforcement etc. dealing with investigation or gathering of intelligence. 1. Bachelors degree in Law/ Economics/ Commerce/ Business Administration with finance & accounts/ CAICS/Cost Accountant or any equivalent degree considered useful by the Selection Committee. Competition Commission of India, 8th Floor, Office Block, Tower - 1, Ring Road - opposite AllMS, Kidwai Nagar (East), New Delhi -110023. 1. Apart from basic pay, the posts carry DA, HRA and Transport Allowance etc. as per the rates applicable to the Central Government employees from time to time. The fixation of pay/deputation (duty) allowance shall be governed by instructions issued by DOP&T from time to time. 2. Medical reimbursement is admissible as per the CCl service rules. This is in lieu Of CGHS benefits which are not admissible to the employees of the Office of DC, CCl. The DG'S office in CCl is an eligible office for allotment/retention of Govt. accommodation from General Pool. The office Of DG, CCl is situated at Bhikaji Cama Place, New Delhi-110066. 3. The application in the prescribed Pro-forma, (Annexure-III) complete in all respects may be sent to the undersigned at the following address, through proper channel, latest by 24th September 2018 Competition Commission of India, 8th Floor, Office Block, Tower - 1, Ring Road — opposite AllMS, Kidwai Nagar (East), New Delhi— 110023.